Best Low Protein Dog Food: Vet Approved for Kidney Disease Too! As most dog owners know, protein is an integral part of their pet’s diet. Unfortunately, not all canines can handle high amounts. Harley ran into this problem when his health prevented him from having the usual diets, prompting my search into low protein dog food. There are different dog food brands on the market, but if your pet can’t handle lots either, take a look here to find the options your pup can have. What is Low Protein Dog Food Diet? Low Protein Dog Food For Liver Disease? Or when does your dog need it? If you’re wondering about how much your dog needs, protein requirements will vary with age and activity. Depending on the age, condition, and health of your pup, they may need less than the usual 18 percent that’s average for canines. This diet, by contrast, consist of less than 16 percent protein. There are quite a few medical conditions that may require your dog to reduce the protein in their diet. This includes kidney disease, liver disease, liver shunt and some kinds of bladder stones. In the case of both kidney and liver disease or liver shunt, lower amounts help to reduce the workload these organs have to perform. Feeding your dog food with low protein and phosphorus can reduce the amount of phosphorus that they absorb. This can help with a few conditions, including less common afflictions like irate bladder stones. With this kind of diet designed to dissolve the stones, your dog will feel much better. When it comes to caring for dogs with acute and chronic kidney disease, Purina NF is perfect. The reduced amounts of phosphorus helps prevent renal damage, while it still provides your dog with a rich source of omega fatty acids. Even with the reduced amount of protein, your dog will still have all their nutritional needs completely met. A great low protein dog food for liver shunt too. Your dog receives a good amount of protein from Canidae. But not so much that it will make them sick. The duck meal, calcium, and phosphorus work together to give your canine the nutrition they need, especially since there’s no corn, wheat, or soy included. This is formulated specifically for large breeds of any age. For improved kidney function, consider this dry dog food with low protein and phosphorus by Purina. It’s completely balanced to improve the normal operation of your dog or puppy’s renal system thanks to the reduced sodium, potassium, boosted omega-3s, and omega-6s. 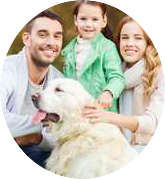 All of this together focuses specifically on the urinary track to provide your pet with the comfort and health they need. This large breed diet by Holistic Select is formulated specifically with prebiotics, probiotics, natural fibers, and digestive enzymes to completely support your dog’s digestive system. With this all-natural formula containing premium ingredients, and no by-products or fillers, your larger canines will dig right in! Weight management food from Nutro Ultra can keep your canine at a healthy weight with coconut, chia, and kale right in the mix. The natural sources of glucosamine and chondroitin are meant to help with healthy joints, and with no by-products, corn, wheat, soy, or artificial colors or flavors, your pet will get the nutrition they need. The flavors are just perfect for your pup. I know it can be difficult to find a good low protein food for your dog. Especially the best low protein dog food for liver disease. Whether your dog is a senior dog or puppy, there’s something that will be suitable. Pick out any one of these low protein dog food (even the grain free ones) depending on what might benefit your dog. And what ingredients it likes too! Don’t worry about your dog’s health and nutrition with these foods on your side. The best part now is picking one option for your dog to try.